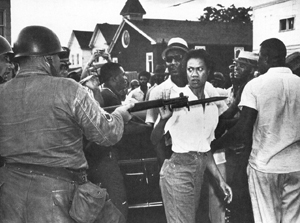 Gloria Richardson was a leader of the civil rights movement in Cambridge during the 1960's. This woman was a formidable opponent to those who fought against equal rights and cut an inspiring figure to all who labored for the cause. 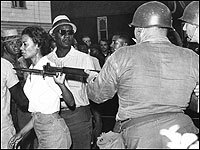 Gloria Richardson was a leader of the civil rights movement in Cambridge during the 1960’s. This woman was a formidable opponent to those who fought against equal rights and cut an inspiring figure to all who labored for the cause. There are many great resources on the web to learn more about Gloria Richardson. 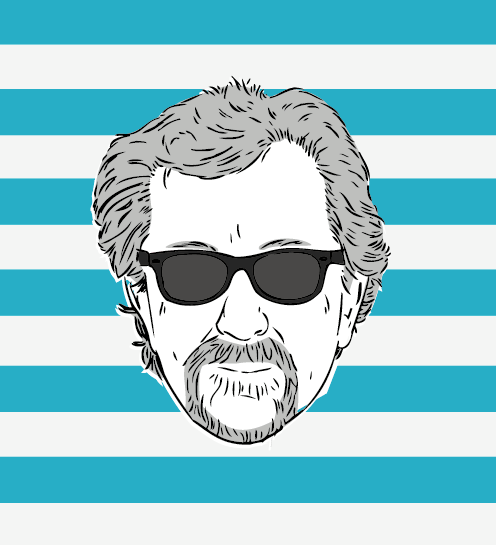 To hear longer interviews, visit the website of the C.V. Starr Center at Washington College. They gave Mrs. Richardson an honorary degree last year and conducted a wonderful interview with her; you can hear it by clicking here. The Annie E. Casey Foundation funded an oral history project that also interviewed Mrs. Richardson;the audio is located here. We also suggest checking out the book Civil War on Race Street by York College of Pennsylvania professor Peter Levy. Click here to hear an interview we conducted with the current Mayor of Cambridge, Victoria Jackson Stanley, about her remembrance of Gloria Richardson and of growing up in Cambridge, and what is is like to live there today.